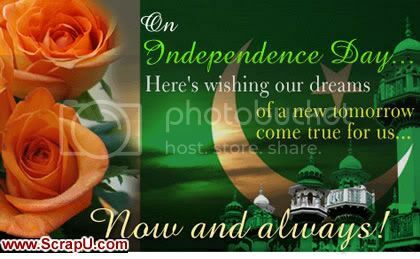 Pakistan's independence day (also known as Yom-e-Istiqlal) is observed on 14 August, the day on which Pakistan became independent from British rule within then what was known as the British Raj in 1947. The day is a national holiday in Pakistan. The day is celebrated all over the country with flag raising ceremonies, tributes to the national heroes and fireworks taking place in the capital, Islamabad.